The name “Final Fantasy” is a bit of an oxymoron, considering there have been fifteen mainline installments and countless spinoff games, movies, anime and more since the first game came out in 1987. 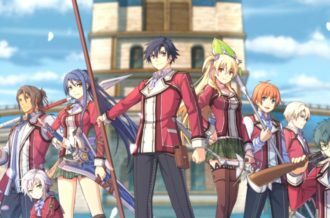 According to an urban legend, Square Co. gave the game its name because the company was struggling financially and didn’t look like it would survive past this last title. As it turns out, series creator Hironobu Sakaguchi simply wanted the game to have the “FF” initials, and as the game was a fantasy RPG, Final Fantasy was born. 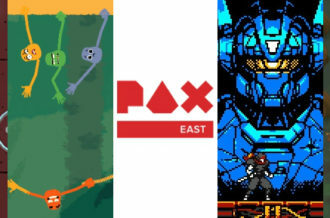 Though far less epic a beginning than many fans assumed, the series became a phantom train hurtling towards the future, and the mainline (i.e., numbered) installments would constantly evolve its mechanics, graphics, storytelling methods and more as each new game was released. Interestingly, the core battle systems in the series initially didn’t change much from game to game — at least, not on the surface. 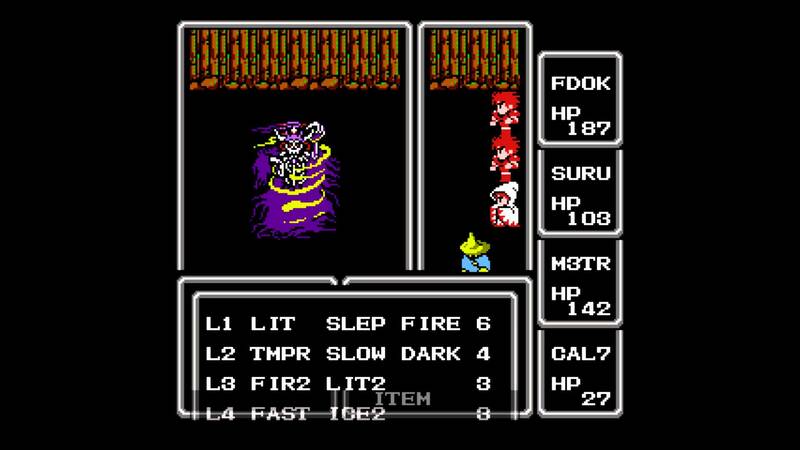 Between the first nine entries, Square only used two basic battle systems for their long and elaborate adventures. 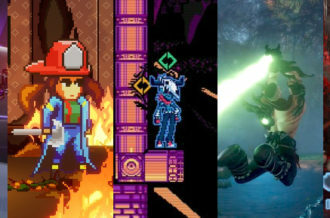 The last handful, however, have constantly changed how the player fights monsters, and no two mainline installments have been the same in that regard. 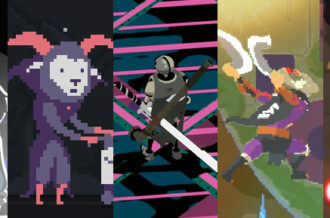 We’ll go over thirteen entries in total (sorry Final Fantasy XI and XIV – you’re great, but MMO battle systems just aren’t quite the same as in single player RPGs) and discuss how their battle and leveling systems changed from game to game. In this first part, we dig into the original three Final Fantasy games and look at the subtle but impactful differences between each of their battle and leveling systems. The first three Final Fantasy games all shared the same basic, turn-based battle system. In them, the player would command the characters on screen to issue an attack, cast magic, defend, use items and sometimes more. Players would give these commands to each of their characters at once and could take all the time they needed to do so. Then, depending on the speed or agility stats of the characters and enemies on screen, those participating in the battle would trade blows. Whoever had the highest speed or agility stat would attack first, and eventually, whoever had the lowest speed or agility stat would attack last. These numbers also influenced how many “hits” a character or enemy got off during a single turn. Akitoshi Kawazu was primarily responsible for creating this battle system. He included many western RPG elements in the mechanics of the early Final Fantasy games, like elemental weaknesses and the ability to choose each character’s class at the beginning of the game. Other major designers like Hironobu Sakaguchi and Koichi Ishii were instrumental in shaping this battle system as well. The first three Final Fantasy games were released on the Famicom in Japan, but only the first was released on the Nintendo Entertainment System in the west. Final Fantasy drew inspiration from Dragon Quest and other trailblazing RPGs that came before it, but those often gave the player a first-person perspective during fights. In those games, players couldn’t see their own characters, instead they looked head-on at enemies. But in Final Fantasy, the battle screen displayed an overhead, third-person point of view, so the player could see enemies on the left side of the screen, and the characters on the right. This basic set up would be kept, essentially, up until Final Fantasy XII, which was the first Final Fantasy to use a free-moving camera in battles. In the original NES version of Final Fantasy I, the battlefield was separated into two discrete boxes: the one on the left housed enemies, and the one on the right was home to player characters. The left box could hold nine small enemies, four large enemies, or a mixture of two large and six small. All-in-all, there were 128 unique enemies in the game, and a potential of 256 enemy groups. Bosses typically filled up the entire left side of the screen, as they were intended to be portrayed as massive in scale. Some enemies, like the Mindflayer, could confuse player characters. Others, like the Hellhound, relied on elemental strengths and weaknesses to fight the party. There were four characters in the party throughout the game, each named by the player: they were known as the Warriors of Light. These four characters could be any one of six classes: Warrior, Thief, Monk, White Mage, Black Mage or Red Mage. Warriors specialized in wielding heavy weapons and armor, acting both as an offensive and defensive class. Thieves were quick, evasive and had high luck stats, allowing the party to flee battles with ease. Monks were trained in the martial arts, and were best at fighting empty handed, saving the team’s gil (i.e., money) to spend on equipment for other characters. White Mages specialized in curative magic, but were terrible physical attackers. Black Mages were similar, except they cast offensive, elemental magic. Red Mages were jacks-of-all-trades and masters of none, as they could learn some (but not all) white and black magic, and could equip a decent amount of equipment, giving them solid attack and defense stats. 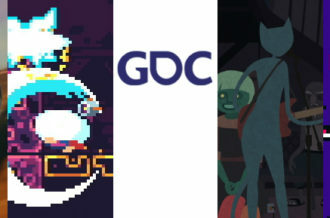 These base classes were determined at the beginning of the game and could not be swapped unless the player started over from square one. Because two classes had to be left out of the party, picking out an efficient lineup was essential to prolonged success – would the player focus on magic, having all three mages in their party and only one offensive class? Would they instead try to power their way through the game with only axes and swords? Players could even pick four of the same class if they chose to do so, but this made the game much more of a challenge. To this day, players attempt all-Thief or all-White Mage parties to make repeat play through games more interesting. Late in the game, if the player gives the Dragon King Bahamut a Rat’s Tail (don’t ask), he would upgrade the party’s classes. Warriors became Knights, who were stronger and capable of low-level white magic. Thieves became Ninjas, who could wield almost all weapons and were casters of some black magic. Monks became Masters, who if kept empty handed, were capable of dealing more damage than any other class. White Mages became White Wizards, which opened up every possible white magic spell in the game. Black Mages became Black Wizards, doing the same with black magic. Red Mages became Red Wizards, which basically encompassed each of these class upgrades, getting more white and black magic, receiving stat upgrades, and were made capable of wielding more weapons than ever before. Both white and black magic spells were determined by charges, where lower level spells had more opportunities to be casted, and higher level spells had a very limited amount of charges. The number of spell charges would increase as the characters gained levels, and could be restored if the party rested at an inn. In remakes of Final Fantasy I, the MP (Magic Points) system from later games would replace these cumbersome charges. XP (Experience Points) were gained simply by defeating enemies, and as in most RPGs, more XP was necessary to level up the further each character had progressed. All-in-all, the original Final Fantasy could easily be beaten in under 20 hours – making it the shortest mainline game in the series by a significant margin. The second Final Fantasy was released almost exactly one year after its predecessor in Japan, but didn’t see a release in the west until it was ported to the PlayStation in 2002. Like other second entries into classic franchises like The Legend of Zelda or Mario, it is considered a black sheep, and many fans rank it as the worst in the series. While that’s all subjective, it definitely did a lot to shake up the formula set by FF1. It removed the class system, instead introducing pre-named characters, many with assigned classes, like the Dark Knight Leon, the Dragoon Ricard or the White Mage Minwu. The three main characters in FF2, Firion, Maria and Guy, were far more freeform in their development, and the player was able to mold them into their own distinct fighters depending on the way they battled. For instance, if Firion mostly fought with swords, his proficiency with swords increased along with his physical attack; if Maria used bows and healing magic, those stats would increase; if the player kept Guy barehanded, that stat increased as well. Unfortunately, this system was easily manipulated, and players could max out their character’s stats very early on by having them attack and heal themselves over and over again. Because of this system, there is no traditional XP gained throughout FF2. Final Fantasy II was more story-based than the original, and many changes were introduced to the battle system to reflect this. The left and right boxes on the battlefield were removed, allowing players to view enemies and characters on the same plane. The number of total enemies on screen was reduced to eight, but enemy difficulty fluctuated much more wildly than it did in the original game. A “row” system was introduced, allowing characters to either be placed in the front or back row of the battlefield: the back row could only attack enemies with bows and magic, but were harmed exclusively by the same. Similarly, only the front two enemy rows could be hit at any given time, and to reach the back row, those forward-fighting enemies needed to be eliminated. If a character fell and was revived by a phoenix down or white magic, they were automatically sent to the back row, and whoever was left in the front row was often targeted the most by enemies. If everyone in the front row fell, the back row characters swapped to the front and continued the battle. This system continued through subsequent installments, though it would be heavily modified. There were 153 enemies in Final Fantasy II, giving even more variety to this adventurous sequel. Though most new additions to FF2 have been sanctioned off to this installment, there were some notable carry-overs to later games. The skill-based leveling system has been all but forgotten, but the use of rows impacting gameplay remained for quite some time. A total lack of Experience Points would never be seen again, but a fully integrated battle screen and the MP system would stick as franchise mainstays. All-in-all, reaction to the second Final Fantasy has been negative, though this is coming from a western mindset, where we didn’t play the game until 14-years after the fact. This was a world where the SNES and PlayStation Final Fantasy games had already graced our consoles and dug into our hearts. Luckily, Square Co. learned from their missteps and would not only return to form, but by all accounts continue to surpass fan expectations with the franchise going forward. Square Co. took their time with their last Final Fantasy on the Famicom, and it was worth the wait – at least, we think it was. Final Fantasy III was only ever released in its original 8-bit form in Japan, and the west didn’t get to play any version of it until it was remade for the Nintendo DS in 2006 – a full 16-year separation. However, by the grace of fan translations and bilingual gamers, we do know exactly what the game was like. It was designed to be much more of a successor to FF1 than FF2 ever attempted to be, and it was all the better off for it. The class system returned with a vengeance, except it evolved into the more flexible “job” system, giving players 22 distinct jobs to choose from. In addition to the original six base classes from FF1, jobs like Onion Knight, Ranger, Dragoon, Viking, Dark Knight, Scholar, Geomancer, Evoker, Bard, Devout, Magus, Summoner and Sage were added; the enhanced classes of Knight, Black Belt (Master) and Ninja also returned, but they were designed to be just as useful as other jobs this time around. 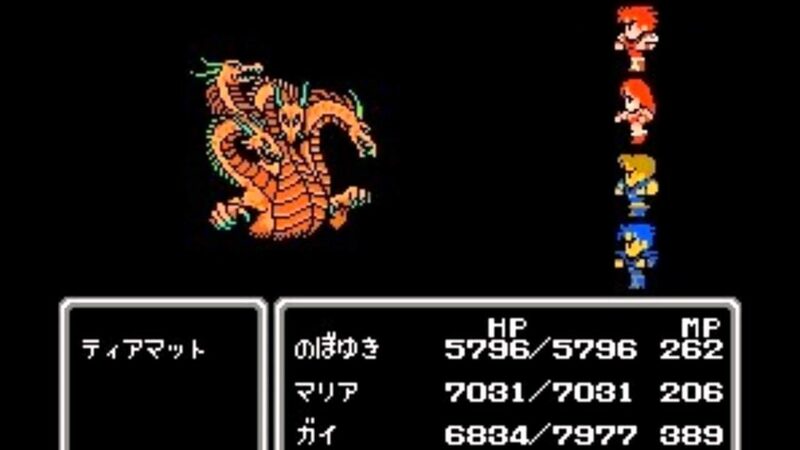 FF3 introduced variable battle commands – each individual job came with a unique command that joined the battle menu alongside fight/attack, defend, flee/run and item. Dark Knights could use the special skill Souleater, which damaged all enemies, but also hurt the caster. Summoners could, naturally, summon – a new mechanic that introduced now-famous summons like Shiva the ice goddess and Leviathan the great water snake. This is a mechanic that would not only return in every subsequent Final Fantasy, but would also integrate heavily into the stories of games like Final Fantasy VI and Final Fantasy X. Once again, four party members constituted the team, but unlike FF2, they were all unnamed and none were locked down to a specific job. Characters could now change jobs at any point outside of battles. Each character began the game as an Onion Knight, a weak job that could use few weapons and had insanely low stats – unless equipped with the full set of onion armor found late in the game. Jobs became available to the party after reaching each of the four elemental crystals in the story. For instance, the first set of jobs were derived from shards of the Wind Crystal, and they constituted five of the basic jobs from FF1, with the exception of Thief. With each new crystal encountered as the story progressed, the party would gain more and more jobs to experiment with. No longer were characters tied down to a single job chosen at the beginning of the game: now any character could switch between the 22 classes at will. The regular Experience Points system returned, raising the level of each character as a whole after defeating any given enemy. However, jobs gained their own set of XP at the same time, and only the jobs used during each battle would receive those points. 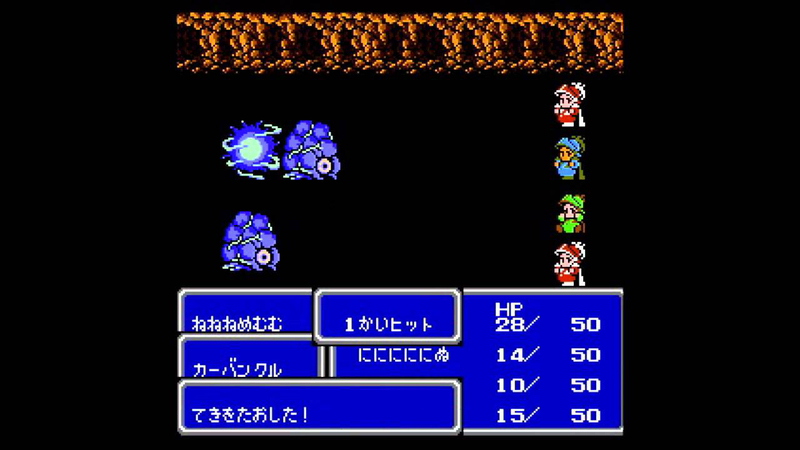 Additionally, each job gave the character a specific stat boost when equipped, as well as permanent stat growth upon leveling up – for instance, the Black Mage increased the character’s intelligence, and Dragoons promoted agility growth. Once a job hit its level cap (99) it would grant the character a unique item, like the angel robe for the White Mage or the legendary blade Muramasa for the Ninja. Though the DS remake remained surprisingly faithful to the Famicom original, there were many notable changes it introduced. The most obvious change was its complete transition to 3D graphics – however, character models were relatively similar to their 2D counterparts, and dungeon, town and over-world layouts remained largely identical. One of the biggest story changes came with the introduction of default names for the four main characters: Luneth, Arc, Refia and Ingus. These names could be changed by the player, though non-player controlled characters like Cid and Sara kept their titles throughout the story. 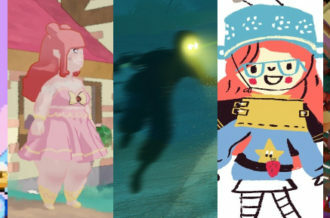 These four characters were given slightly more personality, but by-and-large remained blank slates whose growth was decided by the player. Difficulty was fine-tuned, but even the original 2D version never reached the unreasonable difficulty that FF2 did. The jobs remained the same for the most part, though which weapons could be equipped or which spells could be learned by any given job was revised substantially. A single job was added: Freelancer. This replaced the Onion Knight as the starting class for the four characters, though the reworked Onion Knight job could be obtained through a side quest, and became the most powerful job once its level reached the high 90’s. Final Fantasy III is a fitting final game for the 8-bit era, as it improved upon the original significantly, but also took some select aspects from FF2 as well. It’s impossible to know how it would rank in the lists of fans if it were released for the NES back in the early 90’s, but as it stands, it’s an extremely solid RPG that has aged well and set some major precedents for future entries in the franchise. Well that’s it for the three traditional turn-based Final Fantasy games for the NES/Famicom! Stay tuned for the second part of this feature, which will delve into the Active Time Battle system present in subsequent Final Fantasy releases. ← Okay, Nintendo: Where the Heck is the Switch’s Virtual Console?